Aizawl, Jan 16 : Speaking on discrimination faced by the people from the North Eastern Region in other parts of the country, Union minister Rajyavardhan Singh Rathore on Thursday said the problem lies with both sides and it's a result of "cross-alienation". Speaking on discrimination faced by the people from the North Eastern Region in other parts of the country, Union minister Rajyavardhan Singh Rathore on Thursday said the problem lies with both sides and it's a result of "cross-alienation". "We get to hear about the discrimination faced by people from North East in popular media. I feel it is an issue of cross-alienation. The problem is from both the sides. "A smile or a casual greeting can break the ice. 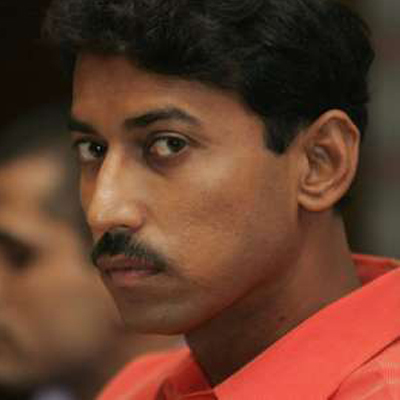 It is also the responsibility of our friends from that part of the country to prevent themselves from being alienated," Union Minister of State for Information and Broadcasting Rathore said. At an inter-state student exchange programme organised by Akhil Bharatiya Vidyarthi Parishad (ABVP), Rathore also spoke about certain measures being taken to stop "brain drain" from the region. "The best minds of the region are moving out. The central government has zeroed in on two factors to curb this trend. We are working to build strong transportation and communication facilities in the region. Steps are being taken to convince industries to set up their business in the region," he said. The Union Minister said the government is underlining the importance of an "Act East policy" going the beyond the 'Look East' policy through a slew of initiatives to promote the interest of the region. "Though the UPA government talked about 'Look East' policy, we have underlined the importance of an 'Act East' policy," he said. According to Rathore, the government is planning to launch three more news channels for the North Eastern Region, in addition to the one launched in Arunachal Pradesh last year. "We also have plans to open more AIR and community radio stations in the region. A permanent location for the IIMC building in Aizawl is being worked out along with the setting up of a film Institute in the North East," he said. Stating legislations can help solve problems "only to an extent", Rathore underscored the need for greater exchanges between the people of the region and the rest of the country. "The government is working to solve the out-of-sight out-of-mind situation regarding the northeast. Legislations can only help in solving a problem to an extent. Various non-governmental efforts are required for greater exchange," he said.